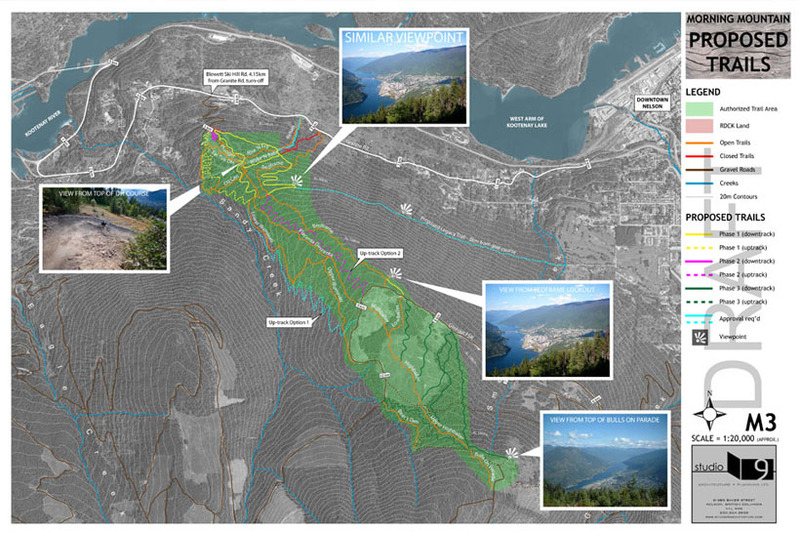 Studio 9 was hired by Recreation Sites and Trails BC to develop a master plan for mountain biking trails in the Morning Mountain (Giveout/Gold Creek) area near Nelson, BC. The plan was created with involvement from the Nelson Cycling Club and the Regional District of Central Kootenay. Since this plan was created, the Nelson Cycling Club has been successful in receiving several grants for trail development and the Morning Mountain trail network has expanded substantially to include a larger variety of trails for all levels of riders. Both Steven and Nelson are avid mountain bikers involved in the local mountain biking community and feel privileged to have played a role in this project.